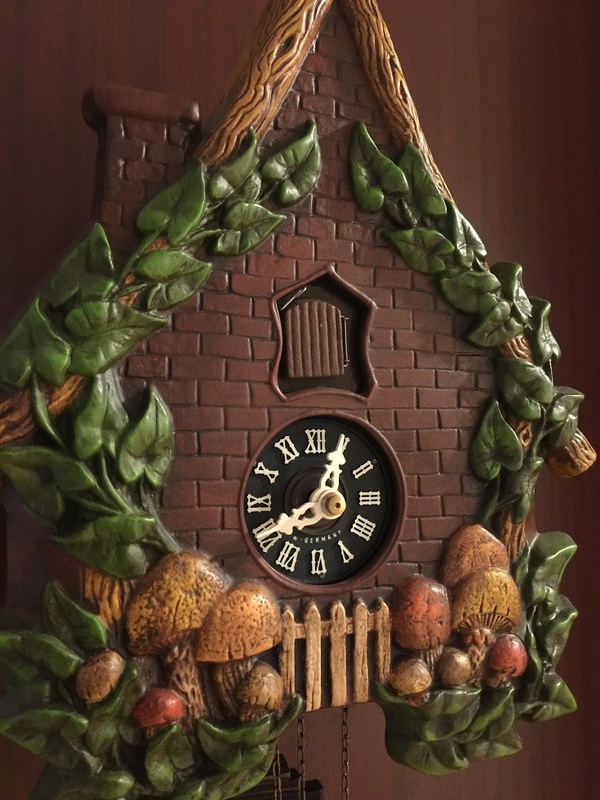 This clock is beautifully rendered and I could not believe that this was the gift I had received. I enjoy my clock very much and it surprised me how beautiful a clock could be. I was in awe when I opened the wrapping paper to this item. I love the way the clock looks and how it’s made. It is very sturdy and makes my living room complete. 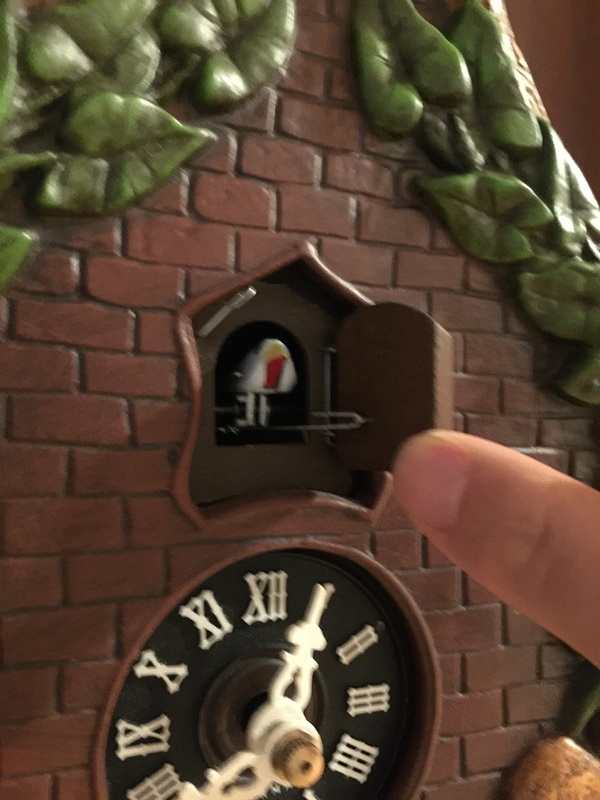 This clock does not play music, which is great for me because my environment would go crazy every hour when it went off, so getting a clock that does not make noise was a great idea. I love a peaceful environment and this clock is perfect. I love how easy this clock is to use. Being a one-day clock, it has to be wound every day and that is alright because it keeps me on my schedule and I am always on time. Being made of ceramic makes the clock beautiful and the colors are popping. However, being made of ceramic it is very fragile and because of that I payed special attention to the hanging instructions.I did not want to take the chance and hang it wrong, then it end up breaking because it is so beautiful and completes the rooms I put it in. The beauty of this clock amazes me every time I look at it. With beautiful bold colors and a beautiful brick design it completes my room. I love the brick wall look with plants growing on it. 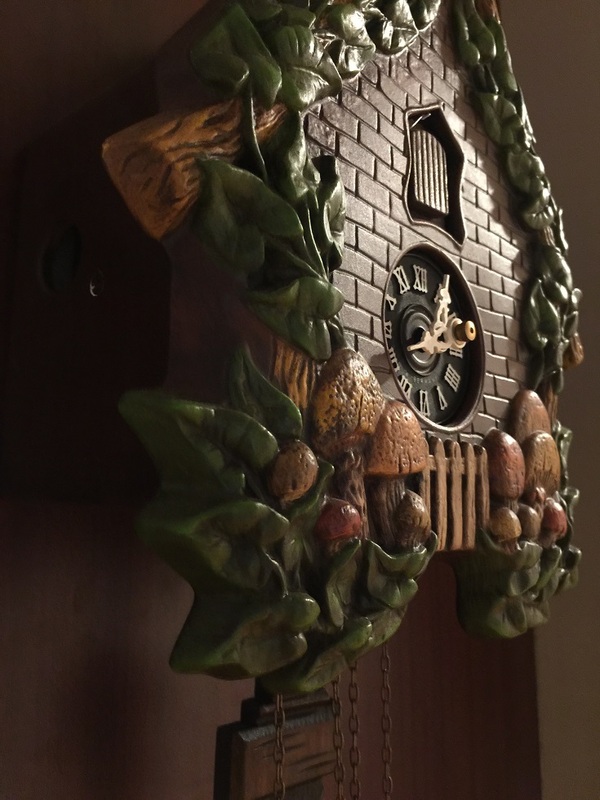 This clock reminds me of old buildings with ivy growing up the sides of the walls and it makes for a beautiful piece in any room. I have to however, have two or three hanging places depending on where I feel to hang it every few months. I switch off between my husband’s mancave, my reading room, and the family living room.